At Nuvens, an AWS Partner Network (APN) Advanced Consulting Partner, we focus on Desktop-as-a-Service (DaaS) and application delivery. We have been involved in desktop transformation for many years—whether it be physical, cloud, or virtual desktops—and have deployed tens of thousands of seats in companies ranging from public sector to financial services. To ensure the transformation to Amazon WorkSpaces is as seamless as possible for organizations and end users, Nuvens has partnered with Liquidware, a leading desktop transformation provider and APN Advanced Technology Partner. Liquidware software enables onboarding, application deployment, secure policy management, profile compatibility assurance, performance validation, and troubleshooting. Our solution allows users to access their desktop anywhere, anytime, and using any device via Amazon WorkSpaces. Companies can easily provision desktops for users in just a few mouse clicks and deliver global user access to applications, documents, and other resources. 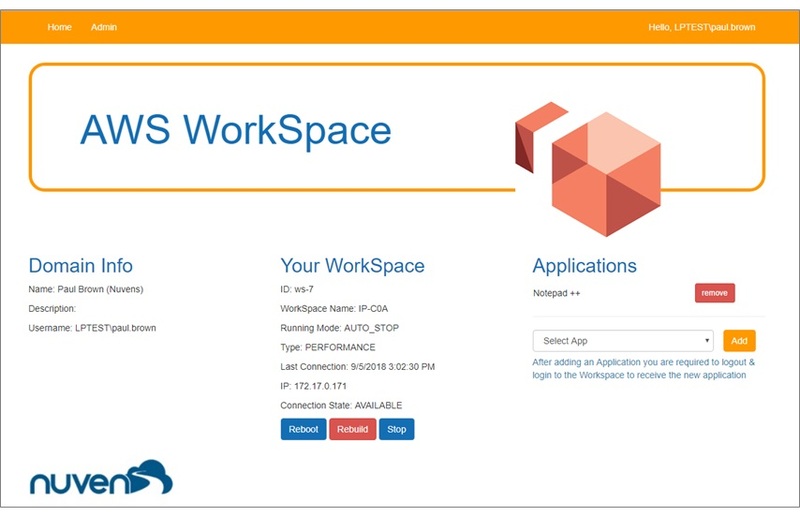 Amazon WorkSpaces is a fully managed, secure DaaS solution running on Amazon Web Services (AWS) that helps companies provision virtual, cloud-based Microsoft Windows desktops for users. It allows you to deliver a high-quality, portable desktop (and applications) to end users on the device of their choice. Unlike traditional on-premises Virtual Desktop Infrastructure (VDI) solutions, you don’t have to worry about procuring, deploying, and managing complex environments. Amazon AppStream 2.0 is a fully managed, secure application streaming service that allows you to stream desktop applications from AWS to any device running a web browser, without rewriting them. This solution allows you to provision cloud-based desktops and applications at large scale through Amazon WorkSpaces and Amazon AppStream, leveraging Liquidware application management and user profile tools. With the solution, we also provide a pre-launch assessment for each customer, onboarding support, and ongoing management of users, apps, and security management. While spinning up a cloud-based Windows desktop with Amazon WorkSpaces takes only a matter of seconds, there are a number of steps to ensure success. Nuvens starts with either an on-site or remote workshop to determine what your environment looks like, which users will be involved with the proof of concept (POC), and what applications should be deployed for testing. The discovery phase is next, where we utilize Liquidware Stratusphere UX to monitor your current environment and perform assessments of desktops, applications, and users’ real-world usage. This enables us to document a high-level design. Figure 1 – Granular analysis of your environment, from application usage and performance to hardware demographics. Once the design is signed off, we deploy Liquidware ProfileUnity for migration of users from legacy environments. Then, we provide ongoing policy and profile management in the Amazon WorkSpaces environment. For customers requiring secure policy management, ProfileUnity enables portions of the operating system to be locked down, such as control panel modifications, save to USB drives, and application execution blacklists and whitelists. Applications can be quickly and easily packaged and deployed with Liquidware FlexApp without the hassle of having to manage base images or worrying about application compatibility. These applications can be delivered directory to a user on start-up, or a user can request the installation through our client-side, automated WorkSpaces self-service portal. For performance validation and ongoing troubleshooting, Stratusphere UX comes back into play. While Amazon WorkSpaces means you don’t have to worry about infrastructure, having visibility into end users, applications, and data is even more critical. 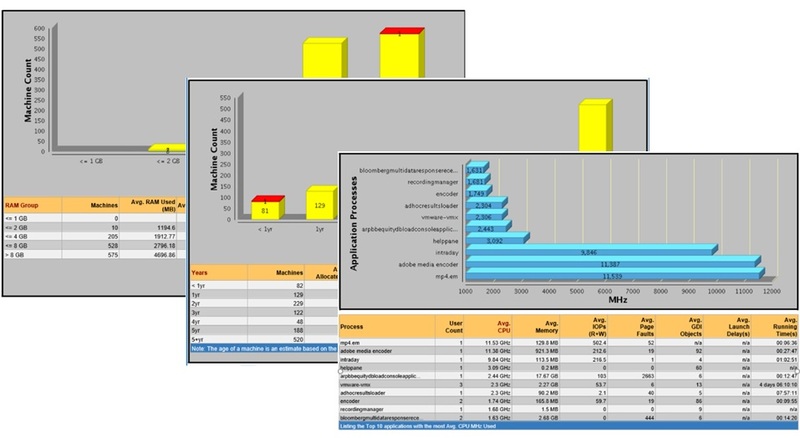 Stratusphere UX provides extreme levels of granularity in its reporting and monitoring tasks. For customers with minimal IT resource commitment, Amazon WorkSpaces delivers—almost instantly—their corporate desktop environment, anywhere in the world. Customers see a reduction in their IT management overhead, increased user productivity, and the ability to scale their desktop environment as the company changes. There is no hardware refresh cycle or susceptibility to licensing model changes. Nuvens helps customers accelerate the adoption of Amazon WorkSpaces by identifying business use cases and utilizing third-party technologies such as Liquidware to simplify and automate the management of their estate. We also provide a wealth of experience deploying Amazon WorkSpaces into challenging environments. Figure 2 – Self-service portal reduces calls to your Service Desk, saves admins valuable time, and gives uses control of permitted applications. Learn more about the Nuvens-Liquidware partnership on AWS Solution Space, a place for APN Partners to showcase customer-ready solutions that are quick, cost effective, and repeatable. Each solution is based on architectures validated by AWS and are meant to create new business opportunities for customers, leading to production workloads on AWS. Engage with Nuvens to deploy a POC with no cost to you and quickly set up an environment that will allow your IT team and end-users to access Amazon WorkSpaces from anywhere in the world.